A Leighton Buzzard motorist has been allegedly caught writing an email on his mobile phone as he drove along the M25 at 50mph. 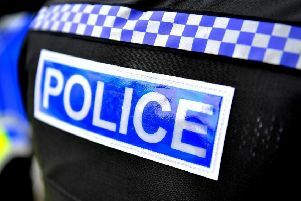 The driver was seen by Surrey Road Policing Unit’s undercover car on Monday afternoon, near Chertsey. The officers filmed the incident and the driver, who was allegedly weaving in his lane whilst using the device, has now been summonsed to court. The footage was uploaded to twitter by the Road Policing Unit. They wrote: “Driver on the #M25 writing an email at 50mph whilst our unmarked car captures video evidence. A spokesman for Surrey Police said: “A 59-year-old man from Leighton Buzzard has been reported for summons for the offence of using a handheld mobile phone while driving.